Tony Redmond thinks PSTs are the 'Work of the Devil' and we are inclined to agree. Apart from being massively out-of-control in most organisations (difficult to locate on users' hard disks and containing unknown evils), they are inherently difficult to grapple with. Having worked on PST elimination projects for over a decade now, we have encountered quite a few challenges and gotchas. Here's just a few to bear in mind if you are planning to get rid of your PSTs. Having been forced to use PSTs for so many years to stay within enforced quotas, end users have become used to them ‘being there’. We know of law firms whose partners have created PSTs for each major client, and store them on their laptops. Removing PST files without explaining why; and without creating a familiar and easy way to access the contents of PSTs post migration, will be very dimly received. PSTs are only really designed to be accessed by one user or application at a time. This creates a challenge where PSTs are opened when a user logs into Outlook. If this happens as a matter of course at your organisation you will need some way to ensure users don’t access their PSTs during your migration project (see also next point). You will also have to work out how you are going to tackle users with laptops that only connect to the network intermittently, and users that always have their PSTs open. If you look at a PST in a directory listing – it’s just one file. It’s effectively a container file, and with most solutions that you can use to move or eliminate PST contents, you’re typically looking at taking the whole file with you. This can mean taking a whole bunch of stuff you just don’t need or that falls outside of your retention policy. Having said this, the TransVault Insight solution we work with lets you take a more granular approach and just select the items you want to move according to different criteria. We have found this saves a lot of time and network bandwidth (as well as archive storage). If you plan to tackle PSTs we recommend you create an Outlook Group Policy that makes the existing PSTs read only and prevents new PSTs from being created. This will put your PSTs in a ‘stable’ situation while you are tackling them. From a legal and audit point of view, who owns a PST file can be vital information. Where PST files are stored on network shares it might seem to be obvious who the owner is, but this depends on how structured the shares are and permissions on each folder within the share. Where “team” folders exist, each PST file could contain messages which are “owned” by several people. Where PST files are stored on desktops then you need to examine what happens when one user leaves and another joins. Are the desktops completely rebuilt or just new profiles configured? In the latter case PST files could be lurking that belong to users who have left the organisation many moons ago! 6. What happens post PST removal? Users who are working offline will tend to have PST on laptops. 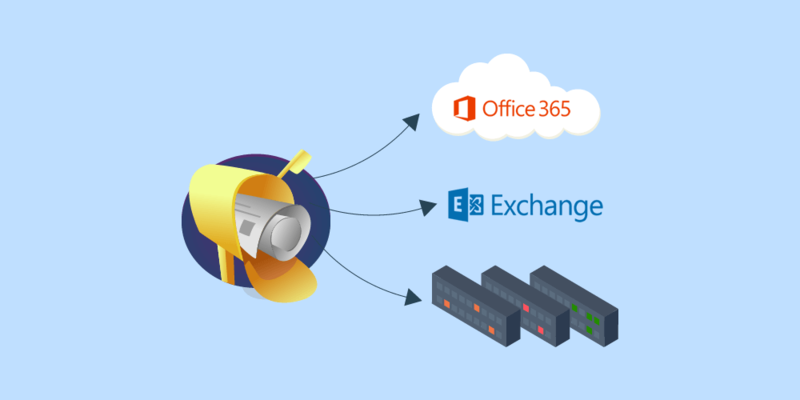 Using Outlook in cache mode (which creates an OST file) is the logical alternative for enabling offline access, so following a PST migration exercise you need to make allowance for the extra network traffic that will be created during the first offline synch after migrating them. There are many more PST tips we have - watch this space. Get in touch and find out more about our PST migration services.